Altitude ATV & Side-by-Side Rentals offers a full line of ATV rentals, UTV and side-by-side options. Whether it’s construction equipment or hunting supplies, we have many trailers to fit your needs. Our customers come first. See what they have to say about Altitude ATV & Side-by-Side Rentals. From the beautiful scenery to the local wildlife, fresh air to the thrill that only an ATV can provide, you’ll experience it all at Altitude ATV & Side-by-Side Rentals! We have a variety of machines available for rental, with access to some of the best trails and destinations Vallecito Lake and the surrounding mountains have to offer. Start your adventure today! There’s no experience quite the same as riding around the trails and observing the beauty of Vallecito Lake on the back of an ATV rental in Durango, CO. Altitude ATV & Side-by-Side Rentals makes this experience possible for you the next time you’re vacationing in Durango, Bayfield or any nearby towns in Colorado! We welcome hunters, fishermen, campers, hikers, naturalists and more, and are ready to provide you with ATV, UTV, RZR and side-by-side rentals to ensure you’re getting the best experience possible while you traverse the trails. All of our trails are OHV trails, meaning you’ll never have to worry about main roads or traffic—you can enjoy your experience comfortably. There’s something out there for everyone! In addition to a wide assortment of ATV rentals in Durango, CO, we’re also pleased to offer trailer rentals for our guests who might be staying for extended periods of time. When the seasons ring in, we love welcoming hunters, fishermen and campers to our grounds and we take pride in making their stay as welcoming and inviting as possible. Even if you’re planning on staying with us overnight or for the week, we’re happy to accommodate your needs for a trailer—we frequently provide rentals to construction sites and for daily use as needed. Get in touch with us today about rates and reservations. 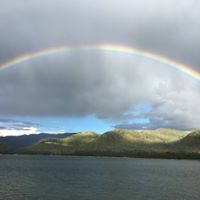 We’re proud members of the Vallecito Lake Chamber of Commerce. We’re just an 18-mile scenic drive to Durango, CO! We welcome hikers, anglers and campers alike! Our rates are affordable and we can accommodate singles riders and groups.